A custom made distressed gilded metal étagère. 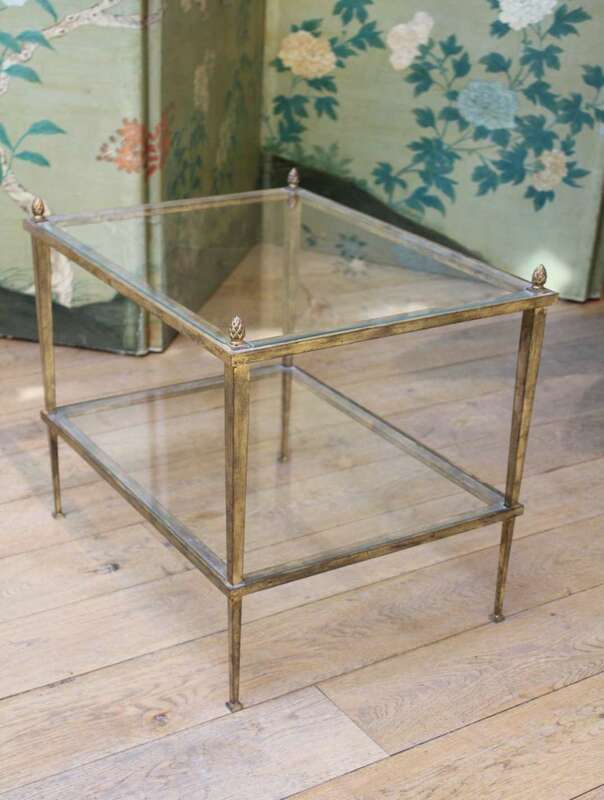 A custom made distressed gilded metal étagère in the style of Studio Ramsay with clear reinforced glass top and shelf. Available in any size or as a coffee table.